Two provinces in northern Iran are suffering from devastating floods due to days of rain and snow in the region. Nine deaths have occurred so far in three provinces, with one more person still missing. 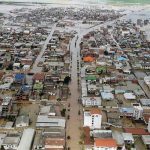 Mazandaran and Golestan Provinces have experienced severe destruction due to flooding, and more rain is forecasted on Sunday. Northern Iran is a popular destination for Nowruz because of its forests and greenery, so the flooded region is full of Iranians using their holiday to visit family members. The Iranian New Year, which is usually an occasion for celebration, has turned to a time of grief. According to state-run media reports, roads leading to 70 villages in Golestan have been flooded. 20 villages in Golestan Province have been forced to evacuate. 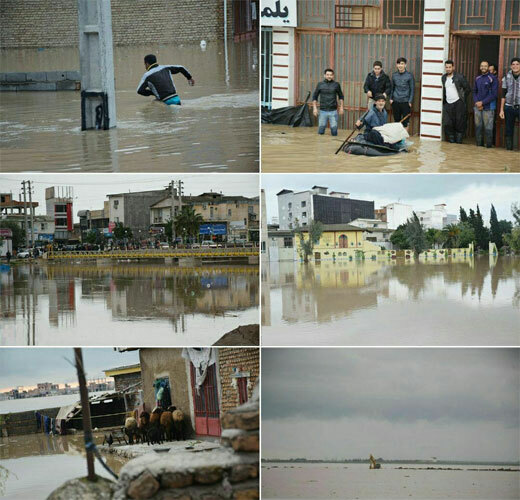 Mojtaba Jamali, the Director General of the Golestan Province Crisis Management, told state-run media that the town Agh Ghola in Golestan Province was hit hardest by the floods, with more than ten villages flooded. Jamali also reported that two people died in a landslide in Golestan. Flood victims in Golestan are reportedly running out of food and urgently need supplies. Province officials have so far failed to provide any emergency aid to those affected by the deadly floods. 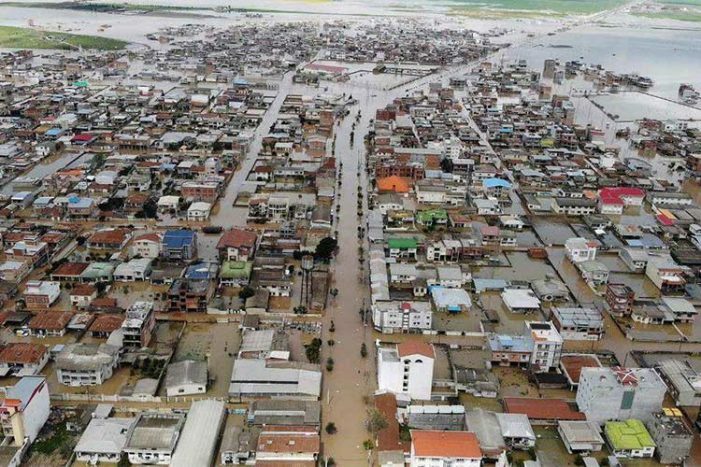 The Mazandaran Crisis Management Department reported that the recent floods affected approximately 200 villages in Mazandaran Province, damaging 1,500 homes in urban areas and between 30-50% of homes in rural areas. More than 200 roads leading to Mazandaran are impassable due to flooding. Heavy snowfall has led to electricity and gas outages in more than 200 villages in Mazandaran’s highlands. Iran's officials are failing to provide any meaningful aid to the flood-stricken towns and villages in northern provinces. Five deaths have been reported in Mazandaran, and another person is still missing. Several cities in Mazandaran, including Babol, the largest city in the province, are dealing with shortages in drinking water due to flooded roads. These cities depend on water tankers to truck in their drinking water. An additional two deaths have been reported in North Khorasan Province. State media has not reported fully or accurately on the floods, so the full extent of flooding in this province is not yet known. The MEK joins Mrs. Rajavi in sending condolences to those affected by the devastating floods in Iran.